Narrative research is an increasingly popular way of carrying out qualitative research by analysing the stories or experience. The findings of this type of qualitative research can be used to improve nursing education, nursing practice and patient care and to explore the experience of illness and the interaction between professionals. 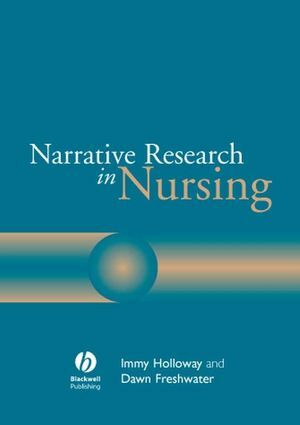 Narrative Research in Nursing provides a comprehensive yet straightforward introduction to narrative research which examines the skills needed to perform narrative interviews, analyse data, and publish results and enables nurse researchers to use the method systematically and rigorously. Narrative Research in Nursing examines the nature of narratives and their role in the development of nursing and health care. Strategies and procedures are identified, including the practicalities of sampling, data collection, analysis and presentation of findings. The authors discuss authenticity of evidence and ethical issues while also exploring problems and practicalities inherent in narrative inquiry and its dissemination. Narrative Research in Nursing is a valuable resource for nurses interested in writing and publishing narrative research. Professor Immy Holloway is a sociologist of health and illness and Reader in the Institute of Health and Community Studies at Bournemouth University. Professor Dawn Freshwater is Reader in Primary Care in the Institute of Health and Community Studies, Bournemouth University. Section 1: The nature of narratives. Chapter 1 What is a narrative?. Chapter 2 The appropriateness of narratives for nursing and health care. Chapter 3 Social construction, postmodernism and narrative identity. Chapter 4 Rigour in narrative research. Section 2: Strategies and procedures in narrative research. Chapter 5 The art of sampling. Chapter 6 Data collection in narrative research. Chapter 7 Narrative analysis: Contextualising narratives. Chapter 8 Presenting the findings. Section 3: Quality and authenticity in narrative research. Chapter 9 Narrative and ethics. Chapter 10 Critical review and problems. Chapter 11 The evaluation of narrative research reports and articles. Chapter 12 Publication and dissemination. Section 4: The practicalities of narrative research. Chapter 13 The skills of the narrative researcher. Chapter 14 Transcribing narrative data.